@gael1715 The promotion code works correctly. After selecting your product press checkout and apply the promo code in the discount bar located in the page. 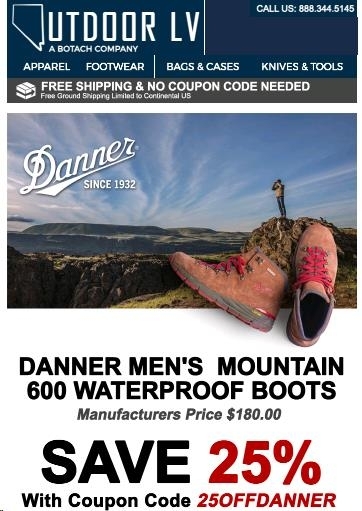 25% off Danner Mountain 600 Boots at Outdoor Lv. 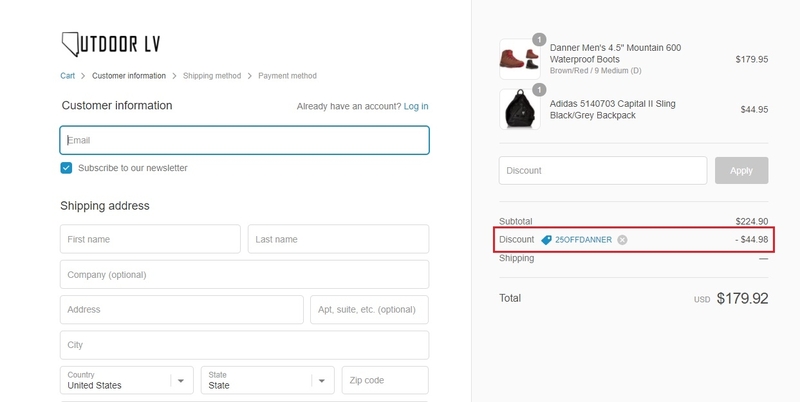 jennifer Enter coupon code in your cart and hit "apply" before proceeding to checkout to receive this discount There may be some exclusions that will apply to this deal.